Dorset and a few places elsewhere. 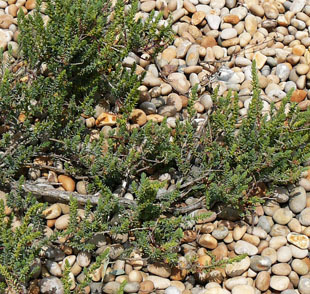 salt marshes when adjacent to shingle or sand. 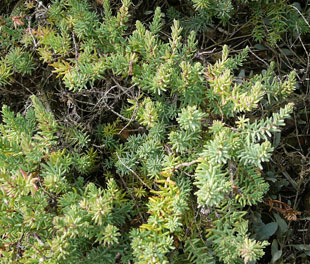 shrub, growing up to 1m. 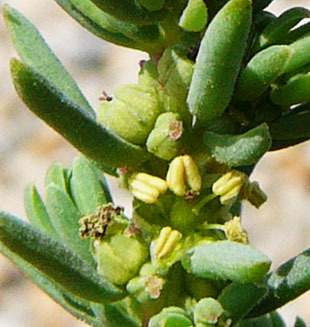 Flowers are greenish-yellow without petals. There are 5 stamens and 3 stigmas, which are not easy to see. 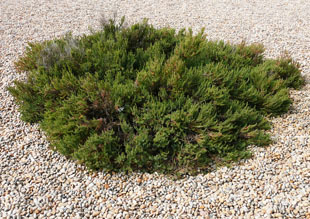 Leaves are fleshy, tubes with rounded ends, and up to 2cm. 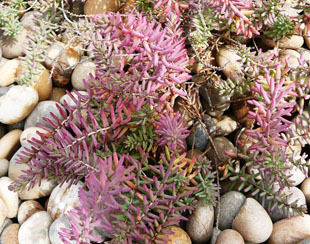 Leaves vary in colour from green, to yellow to purple. 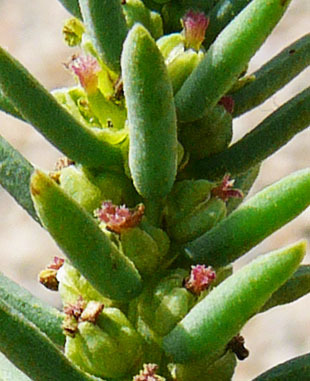 Stems are stout and woody.